So, where do I begin? Well, first my limited research told me the orange pepper was actually MORE ripe. I guess they’re mature when they’re red. So, I’m glad I got the orange pepper now. What to cook? What to cook? I started by searching for “anaheim pepper recipes.” I came up with a bunch of stuffed peppers. Which sounded really good, but were more of a side dish in my opinion. And I was going full Iron Chef style here, so I didn’t want a side with a non-anaheim pepper main dish. 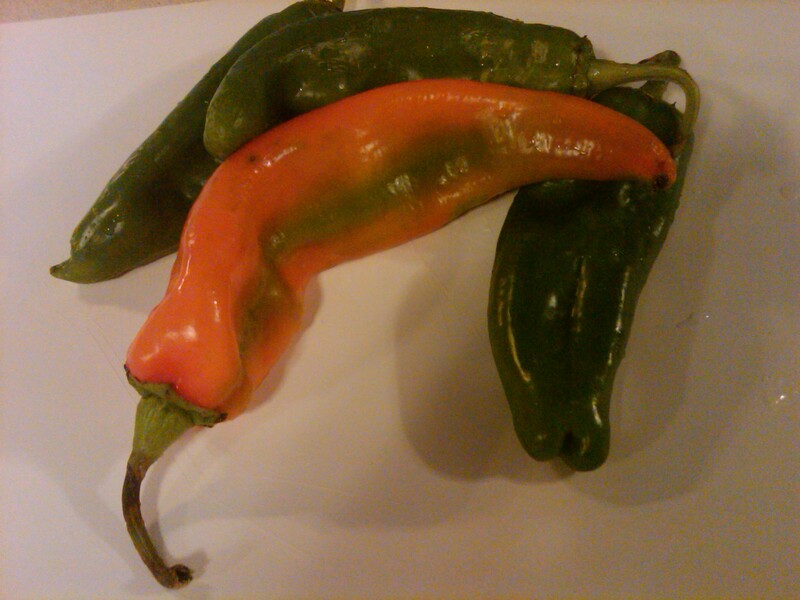 Finally I found a site with several anaheim pepper recipes. I feel like this is the mothership, calling me home. And I’m ready to go. The one that caught my eye first was the Roasted Anaheim and Poblano Potato Mash. And I’d been craving a good burger for awhile, so the Summer Anaheim Burgers recipe caught my eye as well. Houston, we’ve got a menu! 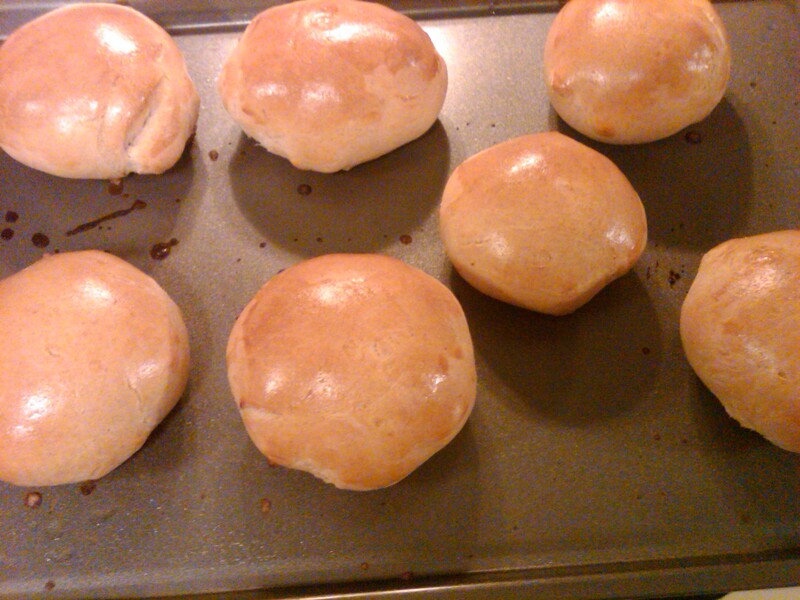 And while I know I could have easily bought hamburger buns, I really, really wanted to make my own. Nothing’s better than fresh, homemade bread! 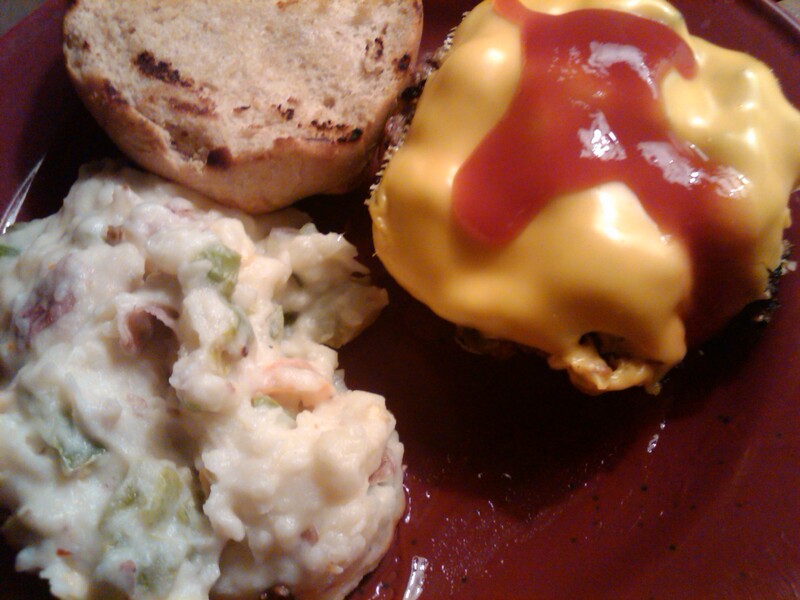 Plus, I could freeze the extra hamburger meat and buns and have a really simple meal another night. I went to my staple bread recipe site, and found Belle’s Hamburger Buns. Belle, I don’t know who you are, but I hope you know your stuff! 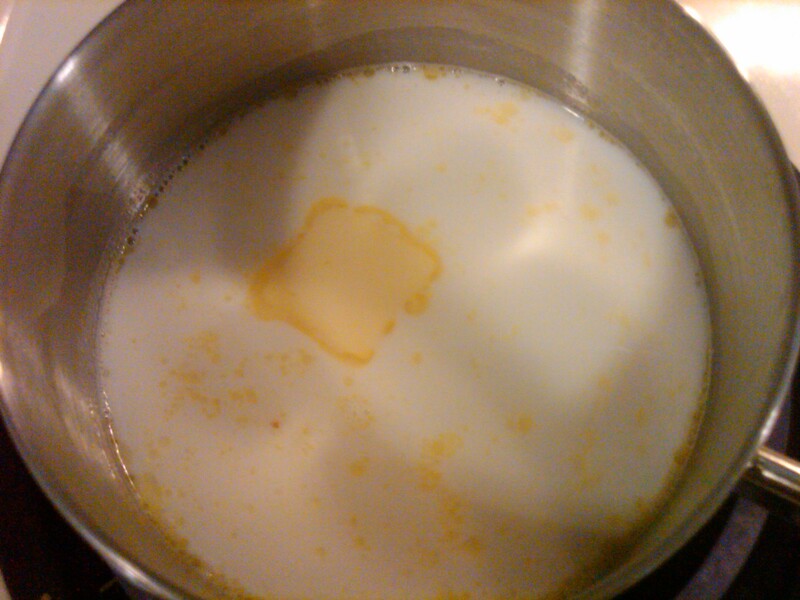 Combine the milk, 1 cup of water, butter, sugar and salt in a saucepan. Bring to a boil then remove from the heat and let stand until lukewarm. If the mixture is too hot, it will kill the yeast. In a large bowl, stir together the flour and yeast. 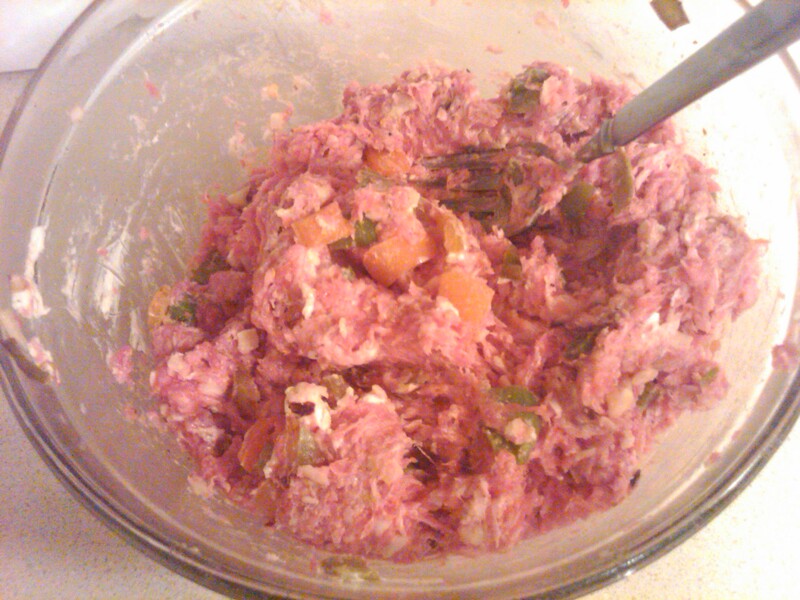 Pour in wet ingredients and stir until the dough starts to pull together. If you have a stand mixer, use the dough hook to mix for about 8 minutes. If not, knead the dough on a floured surface for about 10 minutes. 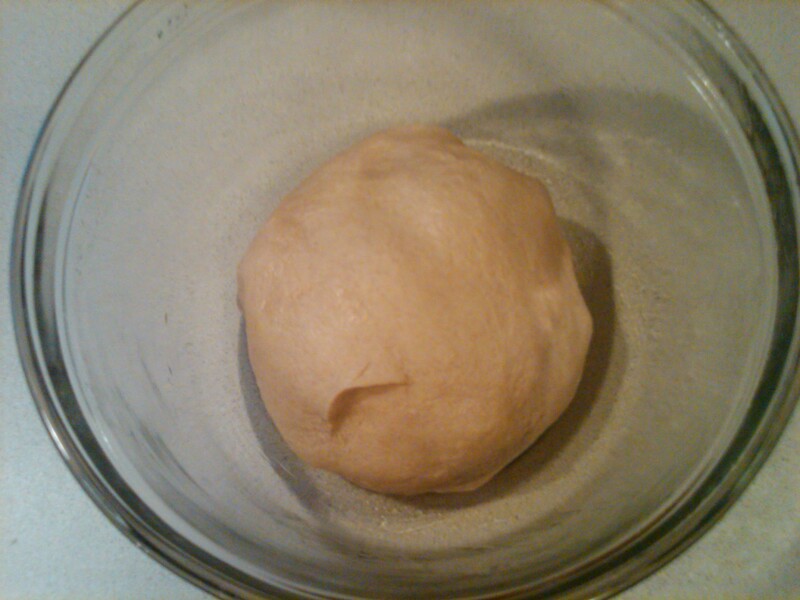 Place the dough in a greased bowl, turning to coat. Cover and let stand until doubled in size, about 1 hour. Punch down the dough and divide into 12 portions They should be a little larger than a golf ball. 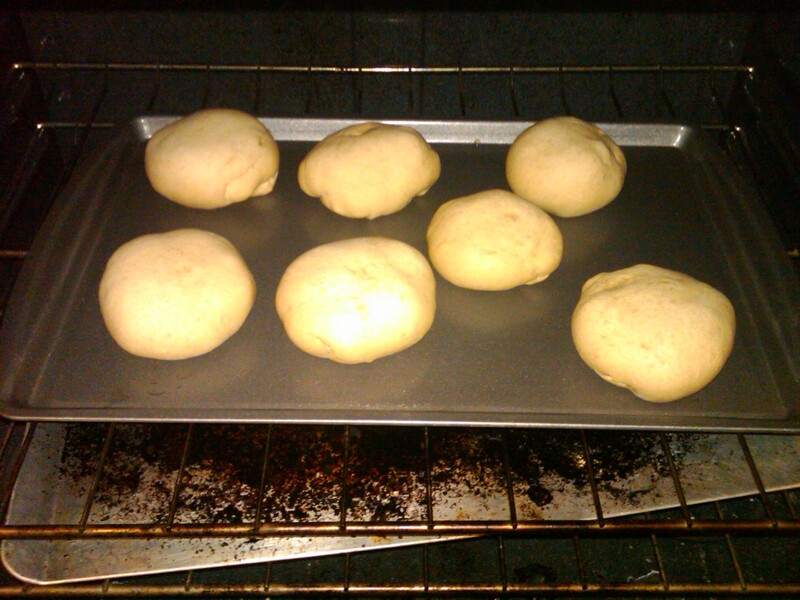 Make tight balls out of the dough by pulling the dough tightly around and pinching it at the bottom. Place on a baking sheet lined with parchment paper or aluminum foil. After the rolls sit for a minute and relax, flatten each ball with the palm of your hand until it is 3 to 4 inches wide. You may want to oil your hand first. Set rolls aside until they double in size, about 20 minutes. Preheat the oven to 400 degrees F (200 degrees C). Mix together the egg yolk and 1 tablespoon of water in a cup or small bowl. Brush onto the tops of the rolls. Position 2 oven racks so they are not too close to the top or bottom of the oven. Bake for 10 minutes in the preheated oven. Remove the rolls from the oven and return them to different shelves so each one spends a little time on the top. Continue to bake for another 5 to 10 minutes, or until nicely browned on the top and bottom. 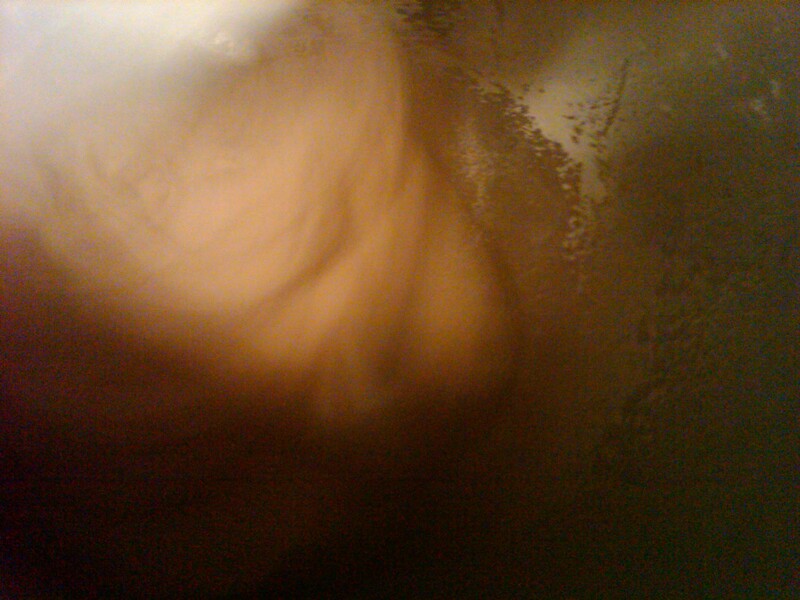 I stirred up my dough and let it rise while I tackled the rest. 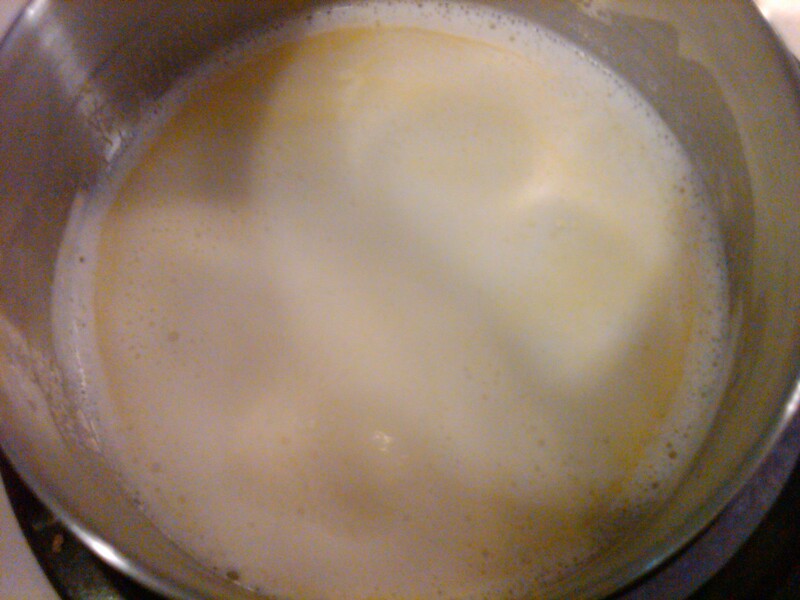 Milk, water, butter, sugar and salt. I always proof my yeast. I know recipes say you don’t have to, but I am always worried my bread won’t turn out, and it’s only 10 minutes. Once my milk/butter mixture above cooled from hot to warm (cool enough not to kill the yeast), I put about 1/4 of a cup in with my yeast, and let it proof. Meanwhile I weighed (yes, I weigh my flour) 2 cups of flour. 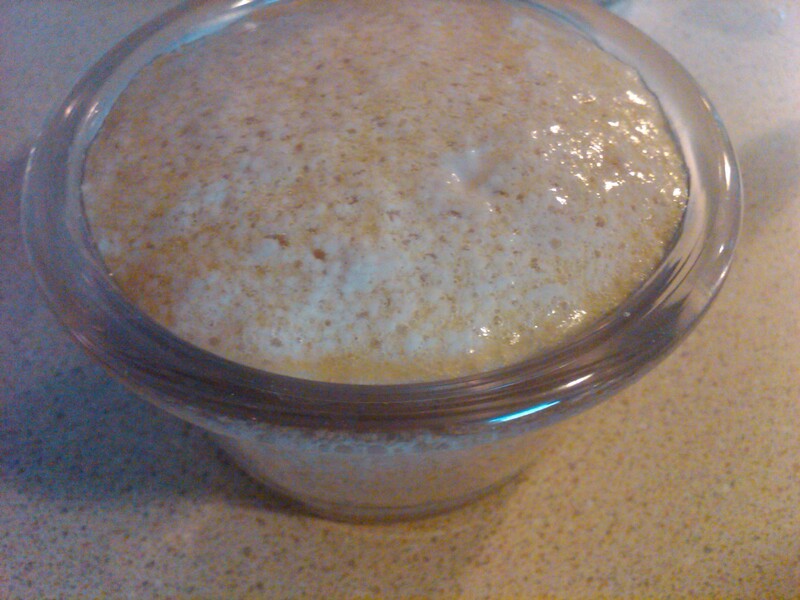 Here’s what yeast looks like when it’s proofed. 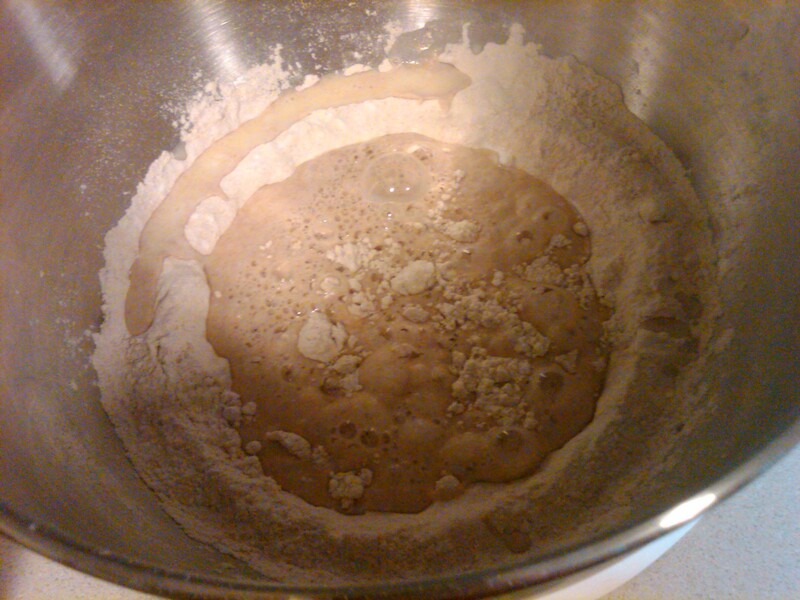 I added the proofed yeast and the rest of my liquid mixture to the flour. I started with only part of the flour so I wouldn’t over-add. Too much flour means dry bread. No bueno. Action shot! My KitchenAid mixer at work. Here’s my precious little dough ball. Ready to rise. 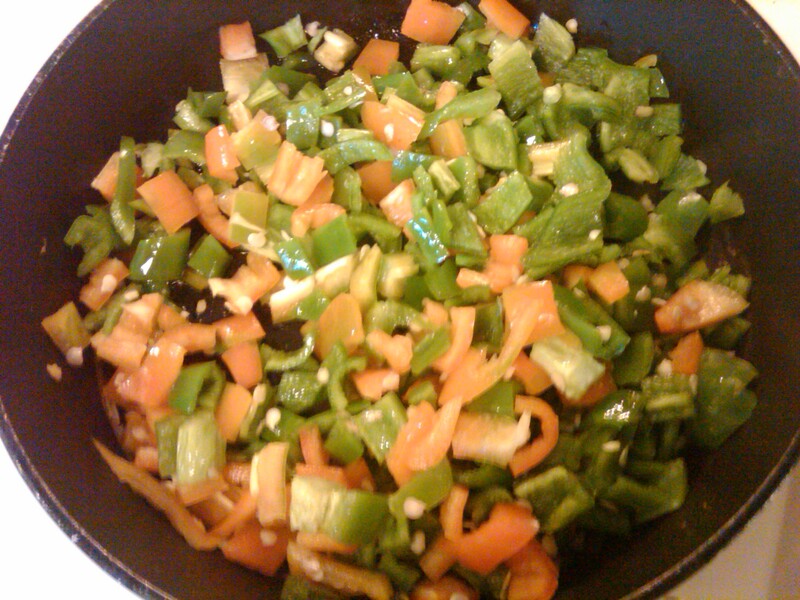 While the dough was rising I sauteed my peppers. I didn’t follow the other two recipes exactly. Partly because I have a hard time focusing on three recipes at once. But also because I don’t want to make what could be an easy recipe too complicated. So, anyway, I chopped my peppers up, sauteed them with a little olive oil, salt and pepper. And let them cool. Mmmmmm… These smell wonderful. I chopped up the entire pepper (minus the stem and end), including the seeds. Anaheim peppers are supposed to be relatively mild, but if you want to avoid any heat, cut out the seed and white part. That’s where the heat’s at. 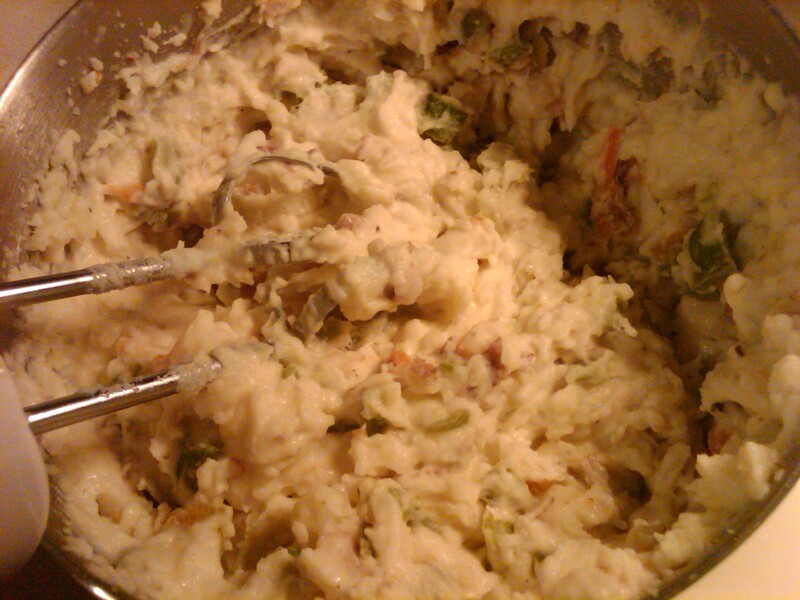 Then I chopped up my potatoes. I had a near finger-ectomy. It was awful. Stupid clumsiness combined with a knife. I guess it could have ended worse. Much worse. Once the potatoes are boiled, drain them. 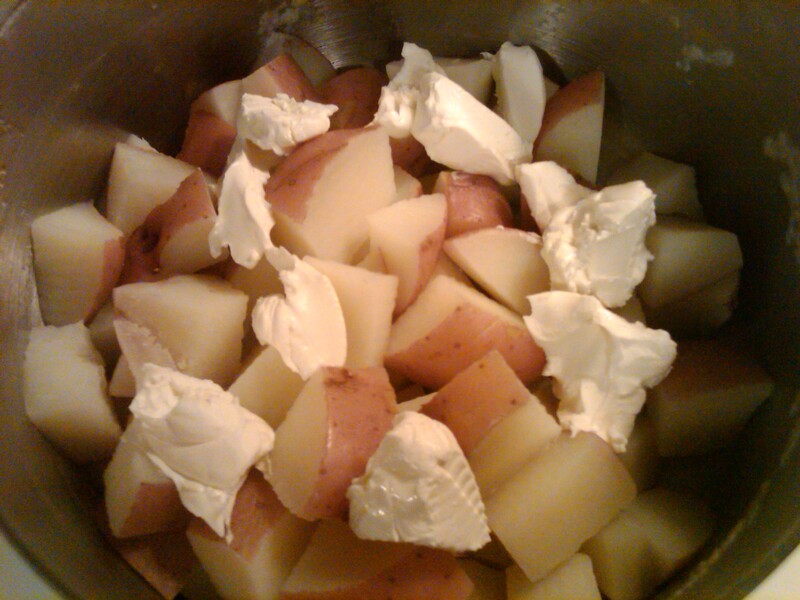 Then I added about 2 ounces of cream cheese (to let it melt while the potatoes are warm). I had cream cheese for the burgers, and didn’t want to waste it. Plus, doesn’t cream cheese sound heavenly in mashed potatoes? I know. Right. This is my meat mixture. 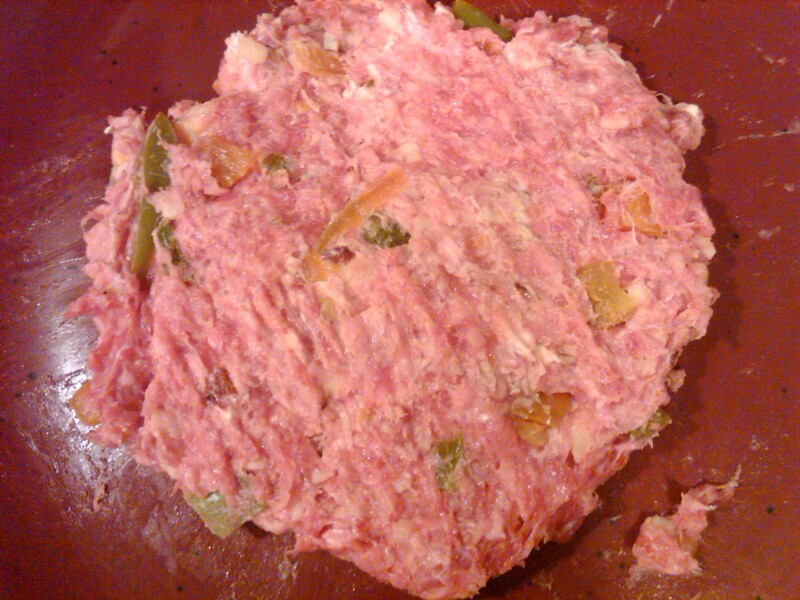 I’m not really fond of showing raw meat, so this is my attempt to compromise. To be fair to the original recipe, this was supposed to be a potato mash. But that sounds way too hard. In my recipe I added a little milk, butter, salt, pepper, one clove of diced garlic, garlic powder, red pepper flakes, 1/2 a cup of the same shredded pepper jack cheese and the remaining anaheim peppers. Then went at it with my hand mixer. I didn’t make them totally smooth, but you definitely could. I like my mashed potatoes a little lumpy somteims. And remember, there was already cream cheese in there. I’ve got some buns in the oven! OK, just the hamburger variety. After the first three minutes I brushed with an egg yolk and water egg wash.
Back to my hamburgers. Sorry if this grosses anyone out. It sort of does me. 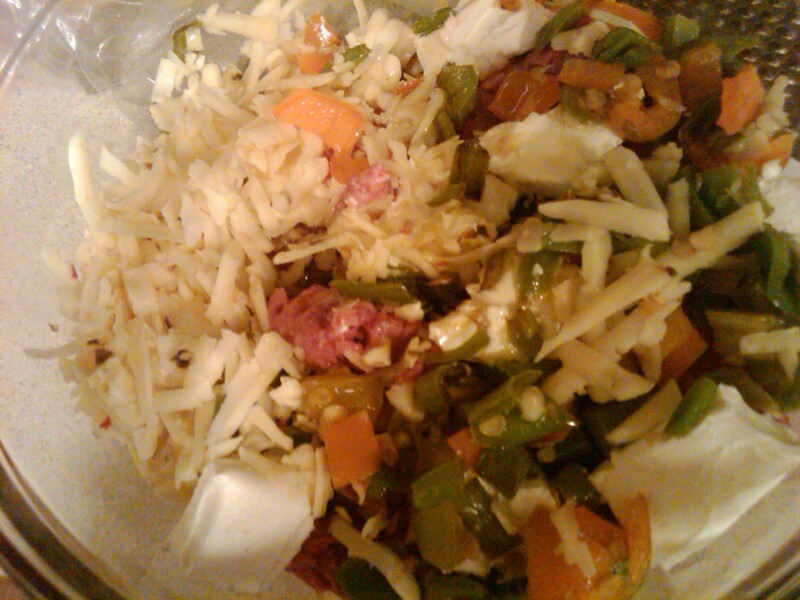 But here’s my hamburger/cheese/spices/peppers mixture. I actually made five burgers instead of four. 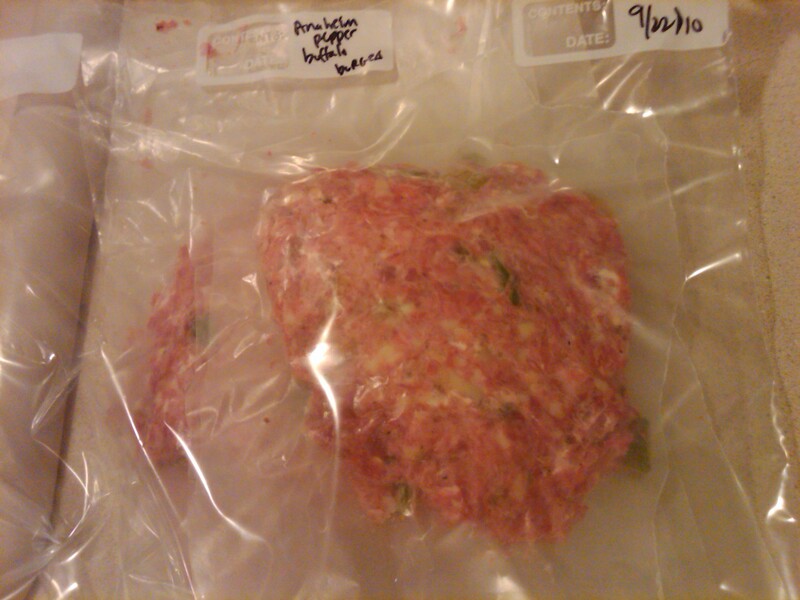 I separated the four remaining burgers with wax paper, and put in a freezer bag. Hopefully they come apart later when I want to cook one! 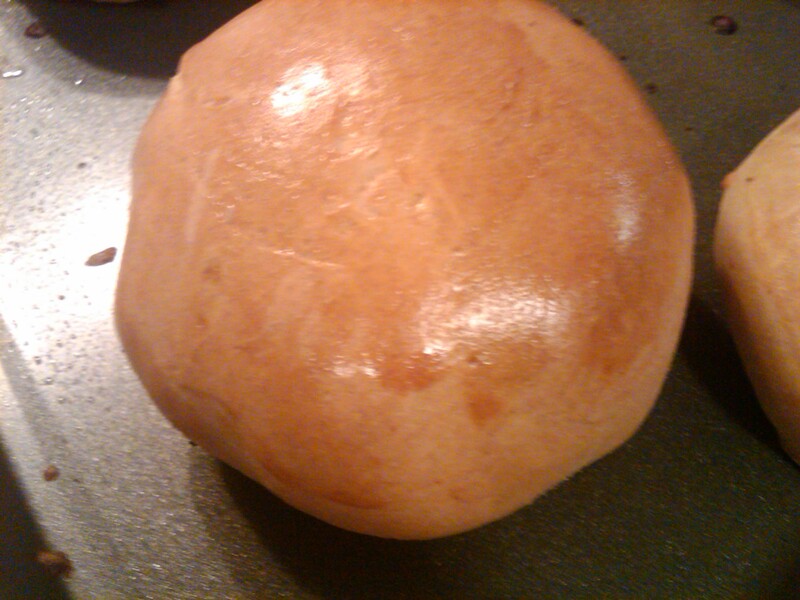 Mmmmmm….. Nothing’s better than homemade bread. Well, maybe queso. I should dip homemade bread in queso. Kinda like fondu. The finished product. I forgot to get lettuce, tomato and onion to finish the burger. But I did melt a slice of American cheese on it while it was on the grill. I also put a little olive oil on my bun and threw it on the grill to toast it a little. This meal? Awesome. I hate braggers. But it really was delicious. Here are my altered recipes. Or you can look back at the originals. Combine all ingredients in a bowl. Form burgers. Heat your grill to high but cook on medium to medium-low until done. Top with a slice of cheese. Let the cheese melt while you’re toasting the buns on the grill. Chop the red peppers. Put in a pan with water. Bring water to a boil, and cook until the potatoes are done (easily pierced – and I always take a piece out and taste it, underdone potatoes don’t taste good). Drain. Add the cream cheese and pepper cheese while the potatoes are still warm. Add remaining ingredients and mix to desired consistency with a hand mixer. Holy cow, these look awesome. You’re turning into Mom Ellenz. I shoudl totally make more bread! The good thing about making bread is it’s cheap. The bad thing is it doesn’t last very long. I’m starting to make half loafs. And all I’ve been thinking about lately are cinnamon twists. We need to have some type of get together soon so I have an excuse to make them! You know what would be fun? Remember when M&D used to take us to the park weekend mornings and we’d eat McD’s breakfast? We should do that some morning with all of the kids. But, you know, at a reasonable time (not 5AM when they eat breakfast). Maybe I could bring cinnamon rolls or, ahem, cinnamon twists! And fruit or something semi-healthy? info you’ve got here on this post. I am coming back to your blog for more soon.